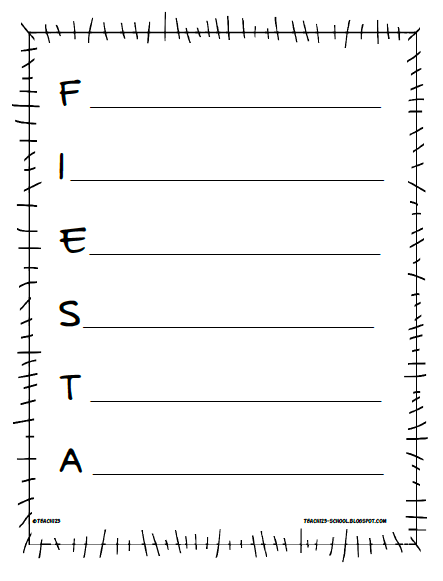 Put themed words in alphabetical order. 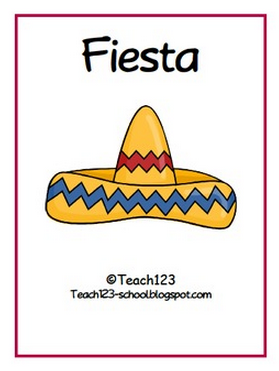 How about a little poetry fun, too? 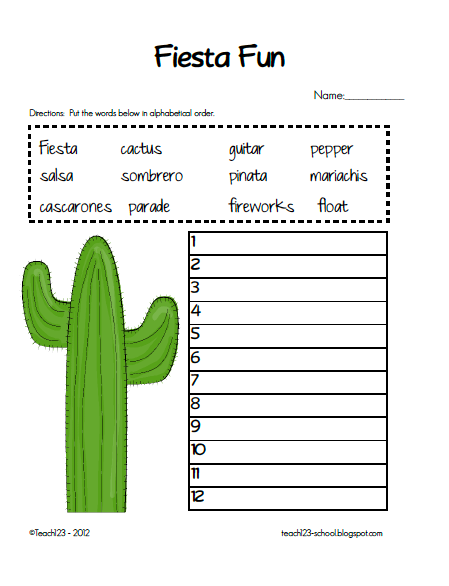 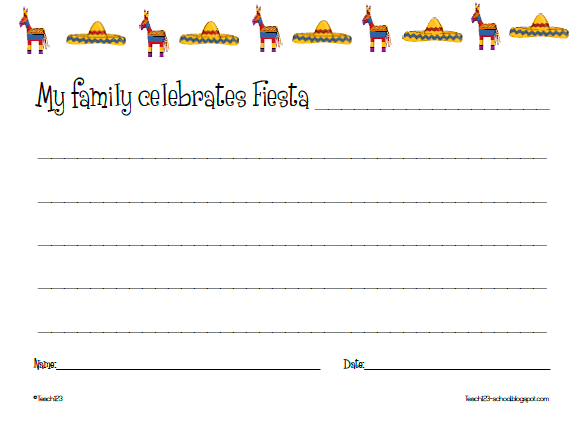 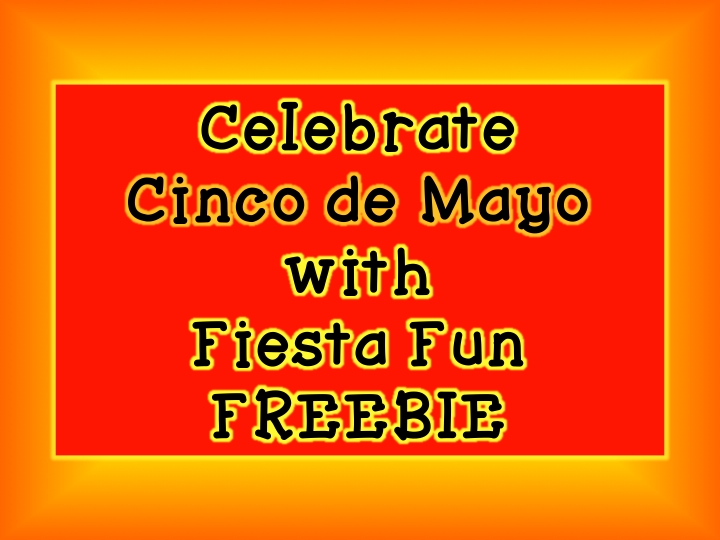 Students can write about how their family celebrates Fiesta. 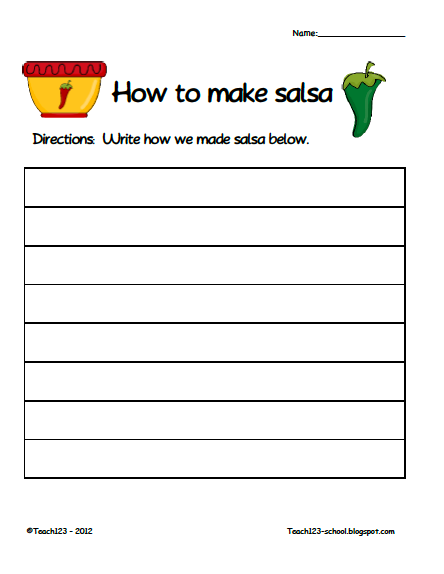 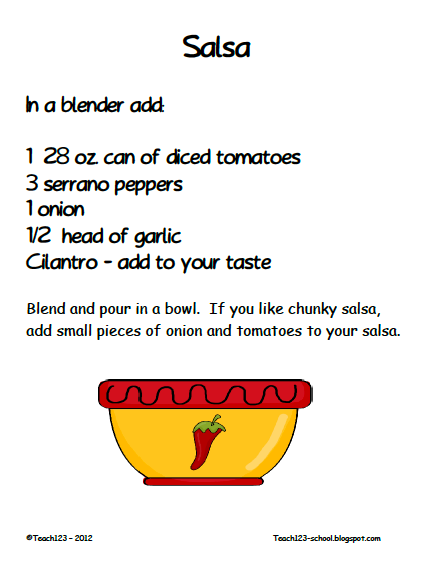 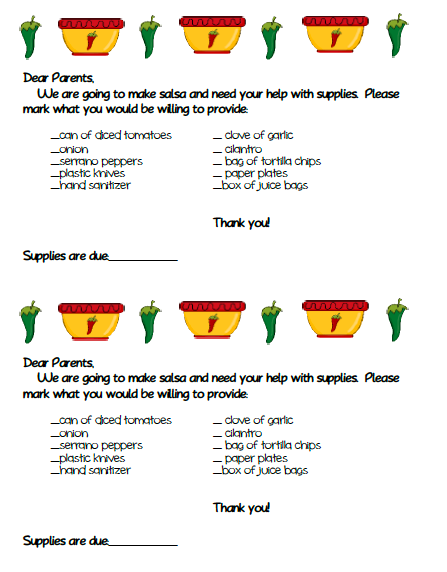 Make salsa with your class and then have your students write a “how to” about their experience.